Today I thought I’d share with you the 4 steps we consistently see our small business clients need to have implemented to become successful business brands on social media... and by successful I mean they are extracting tangible business results from being active on social media. How many are you genuinely doing in your business? The first step sounds very obvious but a great many businesses we speak with actually haven't taken this conversation to its conclusion. The first key step is being very clear about the audience you want to reach with your social media presence - and precisely what do you want your growing social media audience to have done several weeks or months down the line that will have made your investment in social media worthwhile? The answer here will be different for different businesses. Some will be focused on bringing customers to their premises. Others will want to boost the search engine rankings of their website through stronger social sharing activity. The overall goal will be influenced by what it is your small business is dealing in. The key thing is to have actually defined this at the outset so that all your social media activities are undertaken with this end goal in mind. The second step is to think about what will make your social media profiles amongst the most valuable, entertaining or insightful for this target audience. Often small businesses are guilty of their social streams being nothing more than a parade of their latest products or services, plus maybe the occasional team photo or special offer. This invariably means only appealing to people who were already predisposed to buying from you. Whereas having a focus on helping, entertaining or informing your ideal prospects is what draws swarms of them to you! Add in some more personal touches to appeal to your prospective customers on a more personal level and you will have differentiated your social presence from the majority of small businesses you compete with. Remeber, just because your goal is to sell doesn’t mean your social media page should reflect this! Now if you want to become a magnet in your industry that attracts your desired target audience, a focus on selling, selling, selling simply will not do. You need to become an invaluable resource in your niche market, one that people will come to view as indispensable and whose updates they will want to share with others in their network. This is where the huge value on social media can be derived. For example, several of the accounts we manage have twitter followings of 30,000 to 60,000 followers. But when we look at the reach those profiles enjoy each month, their messages are often seen by 1million+ twitter followers. Even with smaller accounts, a similar multiplier effect can be achieved if the right things are being done. It’s this network effect that gives your business huge visibility amongst - and access to – the target audience that you want to reach. But this is only achieved when the updates you post are consistently valuable or entertaining and share-worthy. It’s also paramount that you are regularly active, posting updates on all your accounts... not letting it slip. It doesn’t take much to slip into obscurity either online or on social media! The 3rd step is equally key. 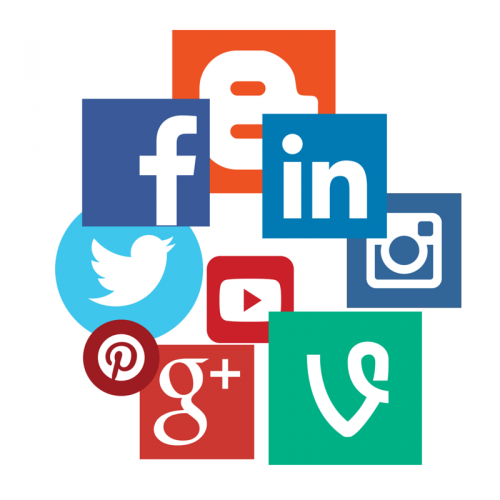 If all you do is Steps 1 and 2, you will have a social media presence that looks professional when people click to your profiles from your website. But you will not be growing an ever larger audience who go on to do the things needed to start bringing your small business really tangible financial results. That’s why Step 3 is so key. Step 3 involves understanding each of the social platforms where you have built a presence on and figuring out the steps that are needed to get your profiles seen by more and more of your target audience. Purpose plays an important role in this, so ensure you understand each social platform and its role. What's also important is maintaining consistent and informed activity across your social networks in order that your follower and fan base grows month on month. But Don't Forget To Engage! Last but absolutely not least, Step 4 involves engaging with your target audience on social media. This includes reviewing the profiles of everyone who has interacted with your business on social media and following up accordingly. Or it may mean discovering conversations taking place in your industry and jumping in and participating in those conversations. But essentially it revolves around taking that awareness that your company brand now has on social media and turning it into meaningful conversations taking place with prospective customers. Social media is also the ideal platform to respond to queries and receive feedback from your potential and existing customers, as it allows your customer service to be more efficient and personal than ever before - so ensure you’re making the most of the opportunities it presents. Just keep in mind that you can't ever fulfil Step 4 effectively if you haven't already done a great job implementing Steps 1-3. It should go without saying that we're only scratching the surface in this post. If you've been meaning to generate more results from social media for your small business then do join me for our Small Business Webinar, lifting the lid on how to do this effectively in your business. Or you're welcome to reach out and book a social media consultation to talk through the specifics of your business circumstances if you're eager to act as quickly as possible.